This post is sponsored by Hornitos® Tequila, all opinions are my own. Nothing officially says summer like 4th of July. Saturday is 4th of July, which means lots of summer fun with the friends and family plus lots of eating and drinking. So to help you make America’s birthday extra delicious, here are three tasty and festive recipes inspired by Hornitos® Tequila that will undoubtedly delight your guests. Fire up the grill, pull out the checkered table cloths, and grab a bottle or two of Hornitos® Tequila and get ready to throw the best 4th of July barbeque. 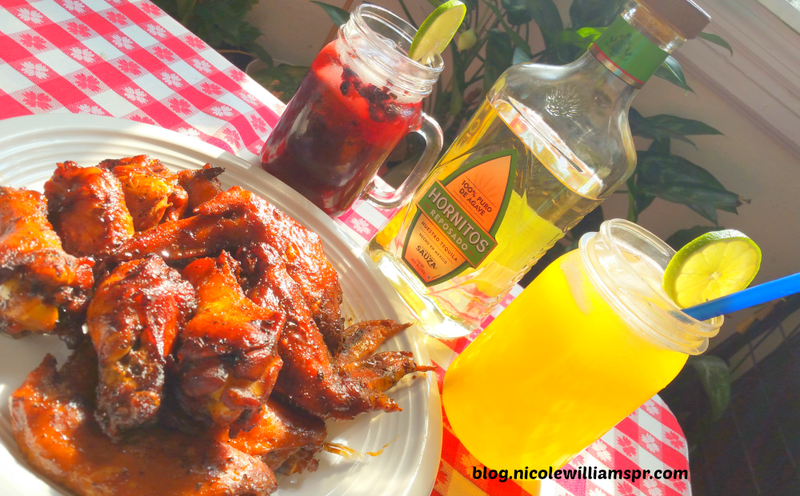 Tequila is not just for drinking, and these finger licking Hornitos® Tequila Jerk wings also goes well served over a pillow of rice. Season the wings in a bowl with Adobo seasoning, cayenne pepper, lemon seasoning, jerk seasoning, and browning and leave to sit overnight in refrigerator. Fire up your grill or preheat oven to 350 degrees. Arrange wings in a single layer on grill or a baking sheet, turning as needed to prevent burning and until wings get a beautiful glazed brown. Meanwhile, combine Hornitos® Tequila, lime juice, and barbeque sauce, and a bit of salt in the bowl with the leftover seasoning from the chicken. 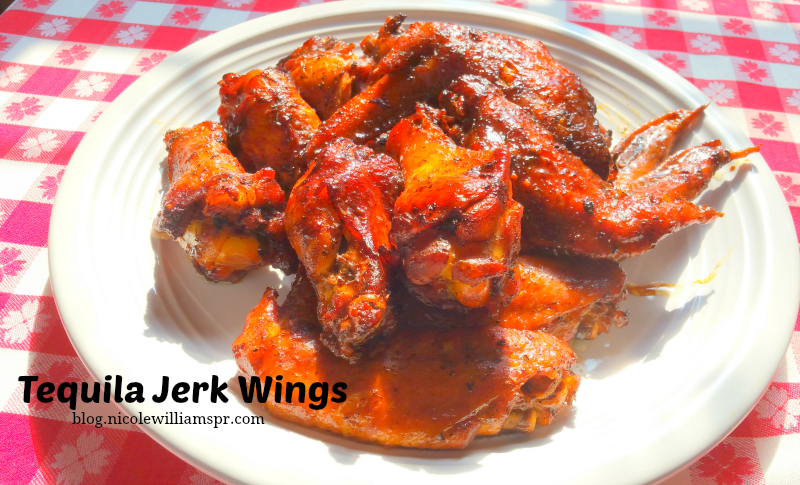 Pour sauce over wings and leave to marinate for another 15 minutes before removing from the oven or grill. The following Hornitos® Tequila summer cocktail recipes will bring the right amount of buzz to spice up not only your barbeque, but also your wedding shower. As well as make the perfect signature drinks for those looking to save on their wedding reception budget. Muddle blueberries and blackberries in a glass with brown sugar. I like the berries chunky, but some people like my mom like it a little smoother - so you can opt to blend or strain after muddling. Combine cranberry raspberry juice and Hornitos® Tequila and stir. Add ice, garnish with a lime slice and serve. Combine all your ingredients in a shaker, shake vigorously and pour over ice. Garnish with a line slice and serve. Hornitos® Tequila doesn’t settle for the status quo but believes in taking experiences to the next level with 100% agave tequila.